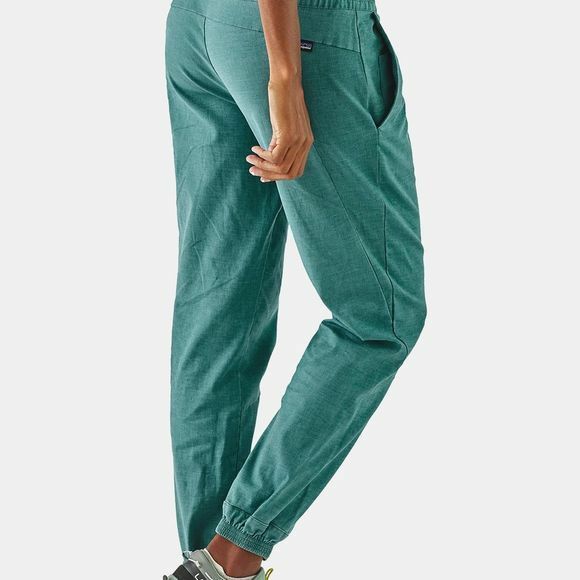 The Women's Hampi Rock Pants from Patagonia are made from a lightweight, durable blend of hemp, recycled polyester and spandex which breathes and stretches for freedom of movement while climbing in hot climates. 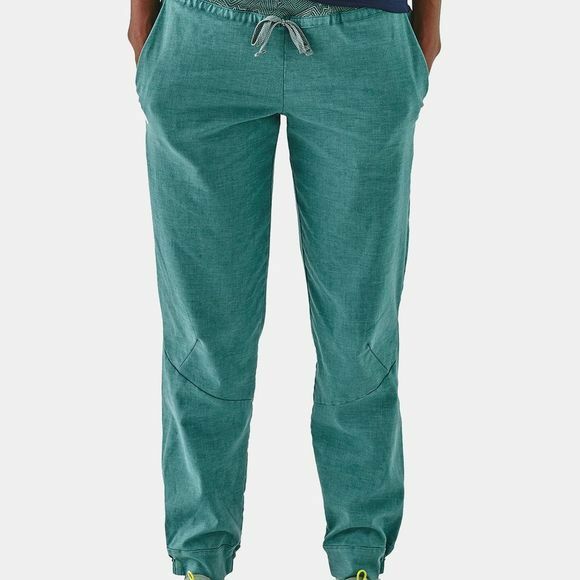 For additional ventilation, you can pull up the leg to the desired height, and the half-elastic cuff will keep it securely in place. The right pocket features a Soft-catch internal mesh pocket bag to secure essentials or valuables such as a phone. The tapered lower leg design gives you a clear, safe view of your foot placements while climbing while the articulated pattern and lie-flat construction of the waistband and hand pockets ensure complete comfort underneath your harness so you can keep your mind focused on the challenge.